The company admits a blatant and widespread attempt to rig emissions test for some cars in its diesel range. According to the Environmental Protection Agency (EPA), some cars sold in America had devices in diesel engines that could detect when they were being tested, changing the performance accordingly to improve results. In other words the real world emissions are ‘much’ higher than test results indicate. The scandal has spread to other cars in the VW family; already 2.1 million Audi cars are affected, with other group brands likely to follow. About 11 million diesel cars are affected, including 1.2 million in the UK. Diesel exhaust is a major contributor to air pollution, especially in Europe, where diesel engines are much more popular than in the US. Diesel emissions include carbon monoxide (CO) and (Nitrous Oxides (NOx), both of which have serious adverse health effects; Volkswagen manipulated the NOx readings. NOx is also a precursor to ground-level ozone which can cause respiratory problems. Vehicle tax in the UK is based on levels of carbon dioxide emissions. So far, the cheat devices in the US appear only to have given false readings on nitrogen oxide (NOx) emissions. Did any devices cheat more than just NOx emissions? What are additional health risks posed by this scandal? NOx is a known killer as my recent blog discussed ‘Air pollution in London caused early deaths of 9,500 people in a single year’ shows. Across the European Union, some 20% of the urban population is estimated to live in areas where NOx concentrations exceed air-quality standards. 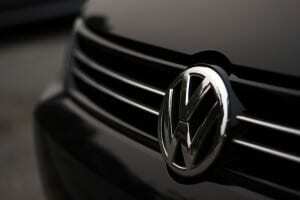 Is VW the only brand using this software? It may take a while for these issues to become clear, but aside from this, there have been some interesting suggestions as how VW, the largest car maker in the world (it produces nearly 41,000 vehicles daily) got itself into this mess. Elon Musk the CEO of Telsa suggests that we have got to the limits of possible improvements to diesel engines, and further limitations on emissions may not be possible with current technology, or not at all. With stringent emissions tests in Europe and the US, maybe VW just found it was not possible to reach the targets by fair means. Of course this is speculative, but whether he is correct or not, then maybe it’s time to push harder for electric vehicles, with their reduced emissions and put the emphasis back on human health. Futher details on the background to this story can be found here. So why did I buy a VW Polo? Firstly, our old faithful petrol car (A VW polo, 8 years old and 146,000 miles) was held together with welded plates and my mechanic Andy, who knows a thing or two about cars told me it won’t make the next MOT. I did my homework on different makes and costs (and my preference of course) and then the opportunist in me took over. With VW shares having dropped 40%, I smelt a bargain in the offing. I wasn’t wrong, after some serious negotiation I got a ‘substantial’ reduction with extras thrown in. It’s a petrol engine with very low emissions? My only regret is that I’m not yet able to buy a suitable electric car currently. Come the day…. I just been informed by my partner, that our old VW was 18 years old (no wonder it was falling apart) and not the 8 years I quoted. I really should check these things with her first.